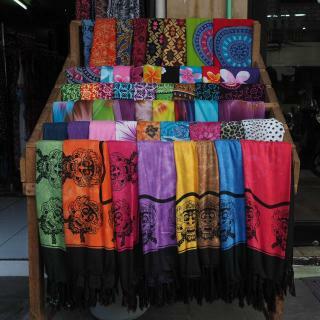 Looking for deals in Kuta? Located in Kuta, Yan's House Hotel has a number of facilities including an outdoor pool, a restaurant and a bar. great location in heart of Kuta. The staff are so nice. Quantity for breakfast was limited but was very delicious. Highly recommended! Boasting an à la carte restaurant, Amnaya Resort Kuta provides comfortable accommodations with free in-room WiFi access in Kuta. Friendliness of staff. Cleaniness of property. Decor and general attention to detail. Great F&B staff who made you feel right at home. Located 10 minutes’ drive from Bali Galeria Mall, Grandmas Plus Hotel Airport features free Wi-Fi throughout the hotel and has an outdoor swimming pool. Was very good room and staff was super friendly..Especially reception Ms Asri and staff . Conveniently located just across Kuta Beach, The Kuta Beach Heritage Hotel - Managed by Accor features well-appointed accommodations with an outdoor pool overlooking the ocean. I love the room, the facilities & the lovely staff. It was like a dream. A 5-minute walk from Kuta Beach and Discovery Shopping Mall, Pendawa Gapura Hotel Kuta is set in Kuta. Just fantastic. Owners family and staff are the nicest people in Bali ! Novotel Bali Ngurah Rai Airport is conveniently located in Bali Denpasar International Airport with direct access to the international departure and domestic arrival sections. The staff was very accommodating. Very quite and clean. Located in Kuta, H Sovereign Bali is a sophisticated property that offers elegant rooms and free WiFi access throughout. It has an outdoor swimming pool with kids pool. Staff doing above and beyond to help me. Just a 15-minute walk from Kuta Beach and the popular Discovery Shopping Mall, the quiet Grand Ixora Kuta Resort provides quiet air-conditioned room with free WiFi. This is the first time I give a hotel 10/10. They staff was great and very welcoming. Paradiso is located at the south of Kuta Beach, a 10-minute drive from Bali International Airport. The hotel offers free-form outdoor pools and 6 dining options. Excellent hotel with brilliant and helpful staff. Easy reach of airport and bang in Centre of Kuta. A 5-minute drive from Bali Galeria Mall, Natya Hotel features an outdoor pool, spa and a restaurant. It offers free scheduled shuttle service to Beach Walk Mall and Discovery Mall. My reservation was made effortlessly on the mobile app. Featuring Balinese architecture, The Nyaman Bali offers an outdoor pool and is a 10-minute drive from Kuta Beach. Fully air-conditioned, each room comes with a private terrace or balcony. The pool is nice with green plants and the bed was super comfy. Featuring a landscaped pool and tropical grounds, Ida Hotel Kuta Bali offers budget accommodations within a 5 minute walk of popular Kuta Beach. It features a restaurant and massages. Great Location and Great Service. The staffs are great and the restaurant is very good. Pondok Jempiring Kuta Bali is located in Kuta, 1.9 miles from Kuta Square. The property is around 3.4 miles from Kuta Art Market and 3.4 miles from Discovery Shopping Mall. Lovely and clean place with nice pool to cool off from the hot day in Bali. Which hotels in Kuta have nice views? Poppies Bali, The Bene, and Amnaya Resort Kuta got great room view-related reviews from travelers in Kuta. What are the best hotels in Kuta near Ngurah Rai International Airport? Travelers who stayed in Kuta near Ngurah Rai International Airport (DPS) have said good things about Novotel Bali Ngurah Rai Airport, BaliRa Airport Hotel, and Te Quiero Bali. Which hotels in Kuta are good for couples? These hotels in Kuta are highly rated by couples: Amnaya Resort Kuta, Bisma Tuban, and Poppies Bali. How much is a hotel in Kuta for tonight? On average, it costs $38 per night to book a 3-star hotel in Kuta for tonight. You'll pay around $73 if you choose to stay in a 4-star hotel tonight, while a 5-star hotel in Kuta will cost around $168, on average (based on Booking.com prices). How much is a hotel in Kuta for this weekend? The average price per night for a 3-star hotel in Kuta this weekend is $73 or, for a 4-star hotel, $154. Looking for something even fancier? 5-star hotels in Kuta for this weekend cost around $320 per night, on average (based on Booking.com prices). What are the best hotels in Kuta near Kuta Beach? Some of the best hotels in Kuta near Kuta Beach include D'Sriwing Villa Gallery, Kuta Puri Bungalow and Seahouse Bali Indah Beach Inn. Which hotels in Kuta offer an especially good breakfast? 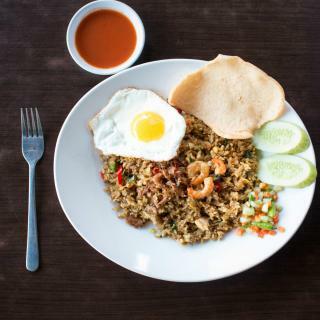 For hotels in Kuta that serve highly-rated breakfasts, try Poppies Bali, Amnaya Resort Kuta, and The Anvaya Beach Resort Bali. Which hotels in Kuta are good for families? Many families visiting Kuta loved staying at Amnaya Resort Kuta, Poppies Bali, and Bisma Tuban. Which hotels are the best ones to stay at in Kuta? Amnaya Resort Kuta, The Anvaya Beach Resort Bali, and Yan's House Hotel are some of the popular hotels in Kuta. How much does it cost to stay in a hotel in Kuta? On average, 3-star hotels in Kuta cost $35 per night, and 4-star hotels in Kuta are $77 per night. If you're looking for something really special, a 5-star hotel in Kuta can be found for $168 per night, on average (based on Booking.com prices). 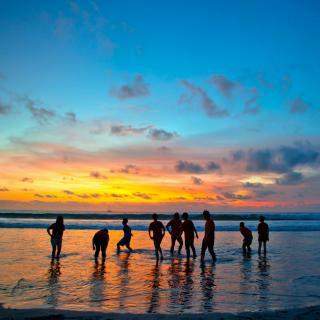 Which neighborhood is the best one to stay at in Kuta? 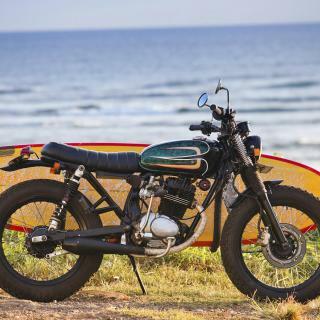 Sunset Road, Raya Kuta, and By Pass Ngurah Rai Kuta are popular with other travelers visiting Kuta. One of the first Bali resorts, Kuta has a long, sandy beach and great nightlife - reasons why it’s one of Indonesia’s top tourist spots. Another popular draw is Kuta surfing. From gentle rollers to lefthanders, the waves are great for all abilities. Several shops in town sell big-brand surf gear at knockdown prices, while other shopping options include Kuta Square, Discovery Mall and Bali Mall Galleria. There’s also no shortage of places to eat. Street vendors offer local fare, while international cuisine is served in restaurants of the Kuta hotels on Booking.com. When the sun goes down, the heat goes up, as the bars and clubs in party zone Jalan Legian kick into life. For something more refined, the bars by Kuta Beach waterfont are a great spot to watch the sunset with a refreshing cocktail. If you’re up early enough to see the Sanur Beach sunrise, you might get to see locals throwing traditional offerings into the sea. Spirituality is a big part of Balinese life and there are yoga and meditation classes, not to mention spas to revive the senses. The gateway to southern Bali, Denpasar Airport is right on the edge of the town, so it won’t be long before you can stretch out and soak up the sun. Kuta beach was dirty. Trash everywhere and in the water. I must have been downstream because I would like to think there was a clean beach somewhere in Bali. The people were very friendly. Good food and night life. Ubud was the place to go. Beautiful countryside. Monkey forest was great but leave the backpack and water bottles in the car. The Monkeys will jump you. Kuta is vibrant and very enjoyable. Kuta is vibrant and very enjoyable. A big turn off is the constant hard sell from street vendors, tour operators and taxi drivers. It’s impossible to stand still for more than a few seconds without being surrounded by people expecting you to buy or use their service. This is a big turn off. The check in details provided in booking. The beaches were dirty and the area is highly commercial, crowded with nasty cheap souvenirs and the kind of tourists you'd rather not encounter anywhere. Even the temples were surrounded by cheap souvenir stores. A real pity, not the Bali you envision. Well frankly, the whole world knows Kuta by now so to keep it simple, its best for the city types who want an island getaway though not so perfect for real nature enthusiasts for whom there are other places that are remote and not suitable to city types right? 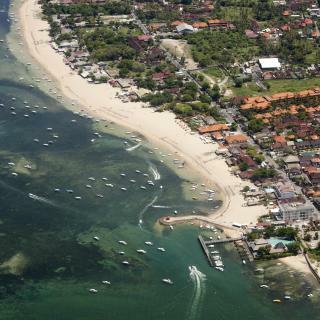 Kuta is a balance of nature and city amenities. The center of Kuta is adjucent to the Airport. The center of Kuta is adjucent to the Airport. The Kuta Street is really happening! The Kuta city is nice place.But if you want to enjoy the real beauty of Bali, you shoud definitely stay few nights at Nusa Penida Island. We loved the resort! It was so conveniently close to the airport which was perfect after a very long trip. When we arrived the property blew us away. 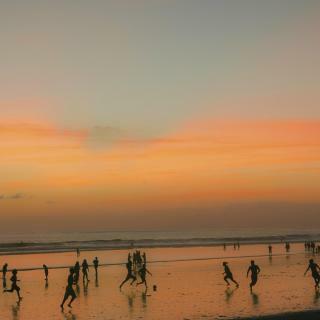 Even though Kuta is chaotic, the resort was anything but that. The gardens were so serene and peaceful that you didn’t even notice or feel the Kuta craziness unless you wanted to. We loved it so much that we changed our travel plans all around Bali (different hotels) just so we could spend our last night there. I stayed here because I had a late night flight & needed a place to sit by the pool & shower during day before my flight (I didn’t stay overnight). It did the job! It was fairly clean & staff were accommodating. I even managed to squeeze in a massage by hotel spa before I flew out which was brilliant! The room rate was soo cheap & I would definitely stay here again if I have a late night flight out of Bali. Overal the hotel has a nice and interesting classic atmosphere. It can be a really nice retreat that calms you down before going back home after a wonderful Bali holiday :-) The beach across the street is awsome! (Sit for a beer with one of the beach guys - not part of the hotel - and hire a surfboard! So nice.) The hotel has reasonable buffet breakfast. In general the price for the location is reasonable. Very nice cozy small swimming pool with a waterfall. I would really recommend the restaurant of the hotel for DINNER. GRILLED FISH was purely AWESOME and the price is lower than in the city. Location is good. If you go out from the hotel, go right a bit and on the left side there is balinese massage etc, very affordable prices and good quality. Superb hotel guest house, run by a lovely family and staff. Rooms are clean and well appointed. Nice pool, attractive grounds with a traditional Balinese feel. Close to the town centre. Very close to the Airport (within walking distance) and many great Wurang/restaurants. The staff were friendly, breakfast suit my taste, the room was clean and comfy as the rainforest concept truly live outside and inside the room. I was staying for 2 nights and would recommend this hotel to anyone who wants to visit south Bali and mean to spare the budget. The design n structure is a bit outdated. 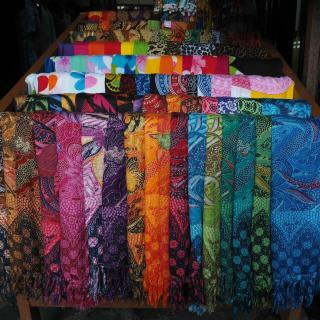 However maintaining the balinese style. Overall the property is quite well maintained n clean. Close to the beach and walking distance to shops within Kuta Beach. It's nicely designed interior of the room, pool was quite spacious. Whole ambience was nice, photos from Booking page of this hotel are real,unlike many others from Bali. Very clean, 10min waliking to kuta beach, satff was very friendly and humble, food was tasty, if u plan for bali near kuta, this is the best hotel. A small boutique hotel on the beachfront. Staff were friendly and attentive. Quiet and peaceful. Had a great feel unlike large chain hotel's. Convenient location for first or last day in Bali. Everything was great and made for a memorable stay. Deffinateley will choose this hotel again. Balinese breakfast. Easy to get in Kuta area. Close to the beach, restaurants and all kind of services for tourists. Good location. The place clean and the staff super friendly.. Will attend this hotel when come to Bali again. Nice clean hotel, with beautiful pool area. We really enjoyed our last night in Bali, thank you. We absolutely loved our stay at Hard Rock! Amazing place for a family holiday, including teens...even more so if your kids are into music. You can have Fender guitars delivered to the room for no extra charge (just a deposit)...our guitar-loving teenage son loved trying out several guitars during our stay. There's a Recording Studio where you can make a CD if you have musicians or singers in the family. Guitar tutorial channel running constantly in the room. In between, the pool was heavenly!!! It's huge and has a basketball ring for teens, huge toddler playground for little ones and family activities/games running frequently. Swim-up bar for the adults and cabanas you can hire to relax, read & chill out. Nearby, there's lots of family things to do from tours to waterfalls and villages in Bali, to typical holiday places like a big waterpark that's close by and one of those 3D photo places kids like to put on Instagram. Staff are super-friendly, smiling, helpful, greet you by name and made our holiday great. Highly recommended!